I assume TLG will be only too happy to provide me with any replacement parts required should my kids attempt to recreate this? Seriously though, my kids would be horrified by this video as they've been brought up to understand that LEGO is NOT a cheap throwaway toy that can be thrown around the room to recreate 'destruction' scenes. We sometimes take liberties involving Hive Crawlers and Trains on carpet, but to deliberately drop a creation onto a hard surface with the intent of destroying it as much as possible? Yep, that's a paddlin'. Maybe the entirety of your post is in jest? It's Lego. Not life-saving food or water that could otherwise be used to relieve a humanitarian crisis. Smashing Lego might be counterintuitive to you and me, but to others who like smashing Lego, it probably makes perfect sense. I think the ultimate purpose of Lego (besides generating revenue for TLG) is to have fun with, and if that means smashing a $400 set to pieces, who am I to judge that it's an inappropriate usage of the toy? I see your point - I totally get that people are free to do it if that's what they want to do; it just seems like such a waste to me. If it were a fan made video that a private individual was using their own resources to construct and distribute - then yeah, to each their own. However when company resources are used then I believe that we, as the consumer, are at least entitled to an opinion. It sets a poor standard of behaviour. How would most people (including non AFOLS) react if I were to come round your place, pick up something off a shelf and throw it against the wall with the sole purpose of destroying it? It is not even really innovative. People have been smashing up their lego for years on youtube. If you came in my house and tried it you'd be in for a beatdown. But that's because you were in my HOME with my property. Who cares what LEGO or any one else does in the privacy of their own home or business. Everyone is entitled to an opinion, but no one has to care. If I had time I'd love to build something like that. My grandson is having a great time smashing Speedorz into each other and flinging Angry Birds around. And they haven't destroyed much, if anything. To actually destroy Lego parts generally takes a lot of effort - they simply disassembled the sets very rapidly. Odds are good they can reassemble that whole setup and do it again. With most toys, that sort of crash usually means the toys are trashed, but with Lego they are just ready to play with again. I read that scene took seven takes, but I don't know if they had one DS that had to be rebuilt, or (if they were smart) multiple ones to smash. Of course you're entitled to your opinion- everyone is! Regarding setting a poor standard of behavior, I think that's totally subjective. 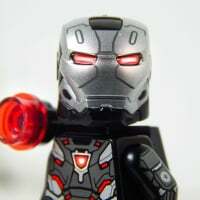 Does smashing Lego lead down the path of some other destructive behavior? If so, I guess you may have a point. 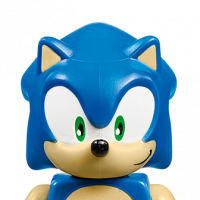 But if smashing Lego is just another way of enjoying Lego and has no other associated adverse affects in one's life, then I would assert that it's just another way of enjoying the toy that's simply different than you or I would enjoy it. The last part of your post is just silly- obviously anyone would be pretty annoyed if a stranger came in their house and messed up their stuff! Sorry. I was referring to the Spiderman scene. Slo-Mo video of a Lego "Plane Crash"
Just to give a frame of reference. 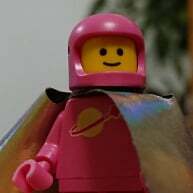 There are hundreds of "Lego Explosion" videos out there, if that's what you're into - I was just taken aback that the Lego Group themselves would indulge in something so wasteful. If Lego makes another one, I hope they add a "No Lego bricks were harmed in the making of this video" message, if applicable. Not having access to the parts after the video I cannot say for certain that none were harmed, but the #2569 parts looked like they survived, and those would seem to be among the most likely to actually break. I emailed Lego to ask if any parts actually got broken, will post their response if I get one. I'll bet that Death Star can be reassembled a lot more easily than the Kenner Falcon, X-wings and Ties that my cousins and I flew back when they were new. I've always said Krennic got a bad deal - he's essentially that kid on the team who does all the work, but the cool kids (Tarkin) step up and take the credit. And also kill him. 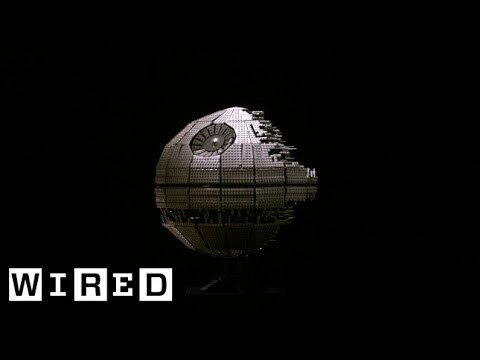 Here is a Death Star destruction video with some proper slo-mo at least. Err... Am I the only one that thought it was clever and was entertained by it? Seeing LEGO getting destroyed makes me cringe somewhat, but it's not my LEGO. So what's all the fuss about? He was responsible for the intelligence breach. And for the nonsense on Scarif. I guess he did... choke on his aspirations! Anyway I'm pretty sure Harrison Ford started the machine. Agreed. And actually a decent use of resources too to creative an entertaining video that the general public will like to watch and share. It's the exact sort of thing Lego should be doing. Geez...do we need to start putting disclaimers on these type of videos: "No actual Lego PIECES were harmed in the making of this video". I consider this just simply taking models apart really fast. I'm pretty sure at least some bricks are harmed in this video. I once built a small structure and was dropped from a height of about a meter and a 2x2 brick was disfigured, not broken but disfigured. I've got to say, I'm REALLY surprised by the amount of people here who find it even remotely acceptable (with some even enjoying it). I just can't get how it gels with TLG principles. This is a company whose motto is 'Play Well'. I just can't accept that destroying stuff (and by extension, promoting others to do so) is playing well. ^ While my first thought about this was "what a waste" , after some due consideration I thought about what if some nerdy film maker hadn't gambled his entire career by blowing up and destroying the hand crafted models and set pieces that were made for his film? We probably wouldn't be having this conversation about a Death Star anyway. They probably have to be careful with saying that. If someone does something similar and parts do break, and it turns out the statement they made in the video was actually false, then they could be in legal trouble for falsely representing the strength of Lego parts. I see no problem with this, the process to make the machine work takes not just creativity but also engineering. Also LEGO's play testing often involves dropping models to test strength, and I've heard LEGO designers talk about being "initiated" by having to deliberately break models and break bricks so that they aren't too precious about their models. It's not like Lego doesn't know that kids like to smash toys together. They have to factor that in to some degree. I completely agree that the initial machine was creative, fun-to-watch and well-engineered; it's just the end result I have a problem with. After going through some prequel and Rogue One settings, the video moves on to an X-wing approaching the Death Star. Wouldn't the Death Star remaining intact be heresy?! I actually found the video pretty cool. I have long ago lost faith humanity for much worse atrocities anyway. Huh, I'm impressed the Tie's wings last as long as they do... clutch power plus structuring, I guess. As for someone destroying a valuable LEGO set, did we all forget The Conan O'Brien episode where Harrison Ford trashed a UCS falcon? If people have the money they will find interesting ways to spend it I guess. I actually thought it was a pretty cool video. It didn't bother me at all... The sets can be built again, it's not like they were literally destroyed. @catwrangler And here I always thought my sister and my Barbie dramas were a result of exposure to our mother's soap opera viewing! Then I think back to when I was a kid. I built cars out of Lego Technic and filmed them (on VHS of course - it was the early Nineties after all) in typical crash-test like scenarios (front impact, side impact etc.). I have always been fascinated by crash test footage, not just cars but also planes in particular. I even crashed one of those cars into my Porsche 911 convertible MOC based on 8860! It was ok for me at the time though, as I already had new plans for the parts I used for the Porsche. Watching those videos was quite fun on our Panasonic VCR with jog-shuttle remote with which you could go through the scenes frame by frame. The only downside was that I actually broke a couple of parts back then, mainly larger plates like 4x8s or larger, but all in all most pieces came out unscathed and survive in my collection to this day. I thought this post was gonna be about people scamming/stealing Lego and that's why the OP was losing faith in humanity. And to see that it was a Rube Goldberg vid of TLG destroying the Death Star just got me all happy and excited to see how they planned on doing it. It was fun to watch! I wish they would have been a little more creative in their machinations on how to destroy it. Loved seeing it crush poor Krennic. IMO it's fun, it's marketing. They'll just take the pieces and repurpose it for something else. Outside of the disdain for the video of some, thanks for posting or I wouldn't have known about it! Clever and fun TLG!!! So the Death Star used in that scene was actually the old version and not the newest. A local LUG member was tasked to acquire (which the prop department paid for of course) and build the Death Stars and ship them to the filming location. He was asked to build it where it would explode in a bunch of pieces on impact. The entire end point of Star Wars is to destroy the Death Star. 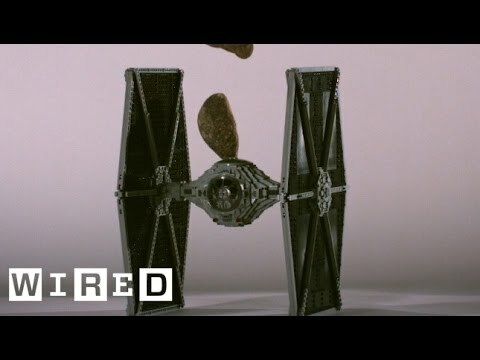 Creating a rube-goldburg machine (or whatever name one wants use) out of Star Wars Lego to actually go about and achieve that end goal, seems to perfectly with the movie and theme of Lego. There is creativity and play that has gone into the creation of the machine. It may not be the best machine I have seen, but I still found the video enjoyable. I have always been fascinated by crash test footage, not just cars but also planes in particular. I even crashed one of those cars into my Porsche 911 convertible MOC based on 8860! I just watched the Rube Goldberg Death Star destroyer video on your website. I really enjoyed the video, but it seems to be causing some friends of mine concern because it is "destroying" the Lego sets. I told them they are being silly, as the sets are just being disassembled very rapidly and could be rebuilt over and over. That really only holds true if all the parts survived unbroken, so I'm curious - could a "No Lego bricks were harmed in the making of this video" message be honestly added tothis video, or did some parts really get broken? We are so lucky to have such loyal fans like you and your fans!!!! I apologize for the concern that your friends have experienced due to the video you all saw. I was not able to find the video via Google search and wonder if you would be willing to send it to us via link. Without knowing the video I cannot state with certainty that we have any connection with the video. You may remind your friends that even when a LEGO® minifigure/character meets some doom in a video game, they do not actually meet an end...they are rebuilt. We look forward to hearing from you soon with the link. ^ I really like that this CS rep is trying to console us over the fact that minifigures don't actually die. I will now be able to sleep better at night. They don't ask for an age in their online submission forms. And we all know that minifigures come to life when the parents and kids go to bed or leave the room. The Lego Movie is a documentary. Silly people! @ the 1:02 mark, that had to be an Easter egg foreshadowing an UCS Falcon re-release right? RIGHT?